Get the Best of Supercross, Motocross and ATV Offroad from 2XL Games! Race Quads and dirt bikes head to head in this xtreme action packed free motorcycle game. Adults will enjoy racing a motorcycle rider against up to 8 players. 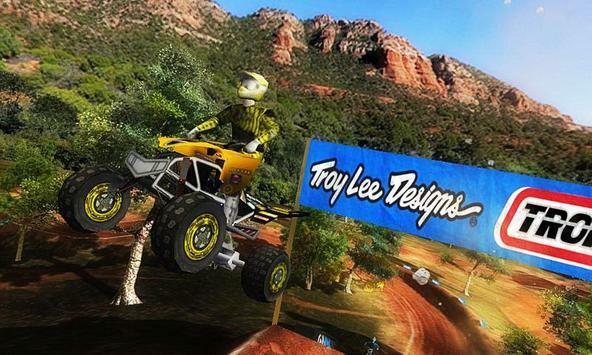 ids will enjoy the 3D aspects and freestyle racing modes in this ultimate motocross game. All ages will be fans of this ultimate bike racing game! Adjustable level of difficulty, simple, easy, medium, hard, extreme etc. See how far weve pushed the graphics envelope as you ride the new outdoor Nationals motorcycle race tracks. Tear up and down huge mountains with beautiful views of the horizon or time yourself with extreme street style racing in a time trial. Experience the rhythmbased supercross style of racing we made famous with classic games like Motocross Madness and ATV Offroad Fury. The allnew league system guides you through a career where you can become the champion and put your xtreme motobike driving skills to the test. Please review 2XL MX Offroad Game and submit your comments below. We will collect all comments in an effort to determine whether the 2XL MX Offroad app is reliable, perform as expected and deliver the promised features and functionalities.